Samples galore! At a recent trip to Whole Foods, a representative from EarthScience (no, not the subject, but the skincare brand) was there to introduce customers to their products. I learned about their plethora of facial, haircare and skin products, including their new Active Age Defense line. After chatting and sampling some of the handcream, I walked away w/ a few samples to take home. 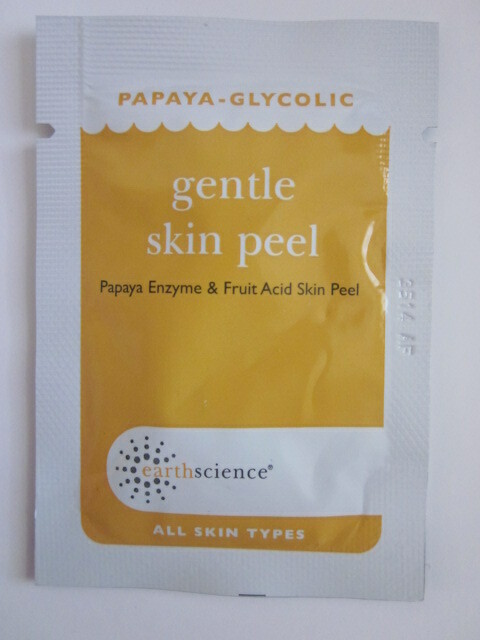 The Gentle Skin Peel- a facial with papaya and glycolic is a must for exfoliating and getting your skin at its best. I never gotten an actual "peel" so I can't compare, but I imagine this is what it must feel like. It's fruity and makes your skin feel a bit tight & tingly, but I feel like my dead skin cells are lifted away. Will be getting this the next time I visit Whole Foods again! Citress Shampoo & Conditioner- This fruity shampoo & conditioner smells wonderful! It left my hair feeling clean & fresh! I brought this with me on my recent trip and it came in handy! 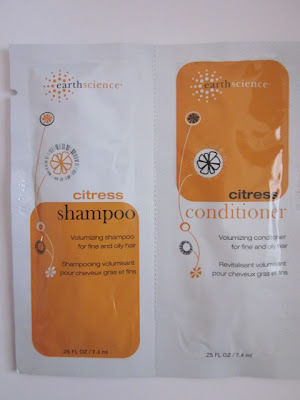 Love bringing samples with me since they're easy to use and then throwaway! Zooey Magazine & Exposed Cosmetics: Prize Pack! My August Birchbox is here! KushyFoot- New products to Kushion your Feet!